SAN DIEGO–For the ninth year, the Museum of Photographic Arts opens its doors to a weekend of compelling films and conversations at the annual Human Rights Watch Film Festival. The film festival, which runs from January 31 to February 2, presents five documentaries highlighting a variety of human rights issues, including the Transgender Military Ban, high school sexual assault, climate change, the rights of “Dreamers” and undocumented families and how poverty, race and policing affect communities in the U.S. These films inspire and challenge viewers to empathize and demand justice for all people. At each screening throughout the weekend, filmmakers, film subjects and Human Rights Watch experts will discuss many of the issues raised by the films and answer questions from audience members. The military is the largest employer of transgender people in the United States. Amid rapidly changing policies that technically at present bans them from serving, 15,500 troops identify as transgender. 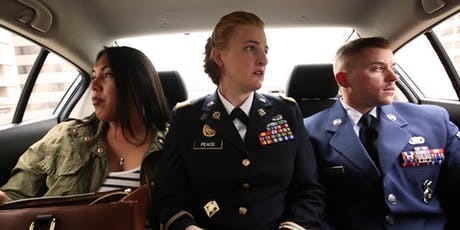 “TransMilitary” documents four brave men and women who risk their families’ livelihoods by coming out to the Pentagon’s top brass in the hope of attaining the equal right to serve. With a new commander-in-chief at the helm, they must traverse a series of successes and defeats, as their careers hang in the balance. “Roll Red Roll” is a true-crime thriller that goes behind the headlines to uncover the deep-seated and social media-fueled “boys will be boys” culture at the root of high school sexual assault in America. What if your country was swallowed by the sea? The idyllic Pacific nation of Kiribati will be submerged within decades due to climate change. As President Anote Tong passionately embarks upon a race against time to save his people and 4,000 years of Kiribati culture, islanders are already feeling the pressure to relocate. Sermary, a young mother of six, must decide whether to use a sought-after lottery visa and leave her children behind to build a future for her family overseas. Set against the backdrop of international climate negotiations and the fight to recognize climate displacement as an urgent human rights issue, “Anote’s Ark” presents personal stories that serve as cautionary tales for the entire world. High school seniors Alejandro, Silvia, and Aldo, like most of their friends, are eager to go to college and pursue their education. However, their home state of Georgia not only bans them from attending the top five public universities, but also deems them ineligible for in-state tuition at public colleges due to their immigration status as DACA (Deferred Action for Childhood Arrivals) recipients. In response, these three ambitious and dream-filled students divert their passions towards the fight for education in the undocumented community. As President Donald Trump’s campaign rhetoric against immigrants gains momentum, and amid constant threat of losing their DACA status and being deported, “The Unafraid” follows these inspirational members of the generation of “undocumented, unapologetic and unafraid” young people who are determined to overcome and dismantle oppressive policies and mindsets. Human Rights Watch is one of the world’s leading independent organizations dedicated to defending and protecting human rights. They work tenaciously to lay the legal and moral groundwork for deep rooted change and fight to bring greater justice and security to people around the world. Through Human Rights Watch Film Festival, they bear witness to human rights violations and create a forum for courageous individuals on both sides of the lens to empower audiences with the knowledge that personal commitment can make a difference. The film festival brings to life human rights abuses through storytelling in a way that challenges each individual to empathize and demand justice for all people. Festival passes are available for purchase and cover admission to all festival events. Passes and single-screening tickets are available online and at the door. For more information or to purchase tickets, visit www.MOPA.org/hrwff.